UNILAD's Stuart Larkin joins 33Seconds as creative lead; account wins for The Belleville Collective, Kazoo and Purple Sprout; and more from PRWeek UK. PR and social media marketing agency 33Seconds has appointed UNILAD’s Stuart Larkin as creative lead Rosy Leader (from Vaynermedia) as senior account director. The recruitment drive follows a successful 2018 for the agency, which included becoming Sky’s retained social media partner across Sky Entertainment (Sky Atlantic, Sky Witness, Sky Arts, Sky Cinema), Sky Kids, Sky Product (Sky Q, Loyalty and Mobile) and its CSR arm Sky Bigger Picture. Larkin will lead the delivery of standout social content across the client portfolio, with a focus on viral and reactive content. He reports into creative director Seb Underhill. Leader will head up the Sky Entertainment team, reporting into associate director Elisah van Vriesland. Brand and PR specialist Goldbug has been hired by netgem.tv to launch its on-demand internet TV platform to the UK market. Led by former marketing chiefs at Telco giant EE, netgem.tv is a media business which this year has launched an end-to-end online TV service, giving viewers access to the most popular content available in the UK. Goldbug has been tasked with giving both brand and long-term PR support, including full-time press office and PR function on a retained basis. 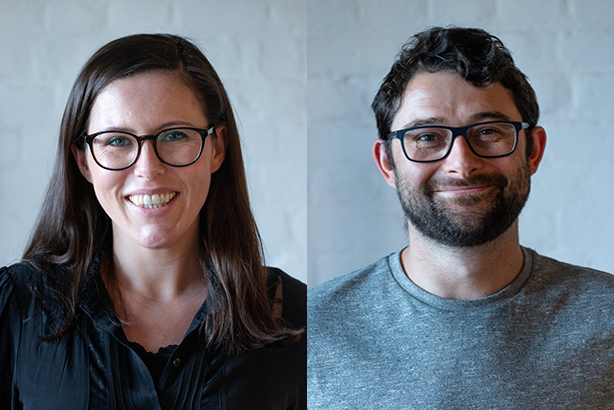 Omnia Retail, a Dutch pricing and online marketing automation software provider, has appointed PR Agency One to establish and expand its business in the UK. The company, which opened a London office in September, uses proprietary machine-learning software to help retailers regain control, save time and drive profitable growth by automating their pricing and online marketing. Since launching in the Netherlands in 2013, the business has secured 100 clients, including Samsung and Decathlon. PR Agency One will be tasked with overseeing and implementing Omnia’s strategic UK PR and communications output to raise brand awareness and credibility within the UK retail market. Creative communications agency Purple Sprout has five new client wins in the past month. The Trentham-based agency has welcomed Astral Pool UK, The International School of Beauty Therapy, Silverdale Bathrooms, Nuffield Health Wolverhampton Hospital and Nuffield Health North Staffordshire Hospital to its growing client list. "We continue to receive enquiries into the new year, and this is down to our outstanding reputation for quality work and open communication with our clients. We also worked hard to improve our website and SEO over the past year, and this has really paid off," said acting managing director David Mellenchip. Inter Rhône, the trade body that brings together the wine-growers and merchants of France’s second-largest AOC wine region, Côtes du Rhône, has chosen The Belleville Collective as its retained PR agency in the UK following a competitive pitch process. The Belleville Collective will be responsible for raising awareness of the region and its appellations via a dedicated PR programme. Focused on events and media relations, the consultancy aims to boost the profile of Rhône wines among UK consumers and trade via an innovative platform that links wine with music. The campaign aims to capture the region’s fundamental messages of premiumisation, quality and versatility in a compelling and creative way.